This is a ‘soft launch’ of the first 100 Cotton Famine poems studied in the project. Further poems will be added as the project progresses and a full launch will take place in 2019. This project makes freely available a database of poems written in response to the Lancashire Cotton Famine of 1861-65, along with commentary, audio recitations and musical performances drawing directly on these poems. This poetic response is important in that it often represents labouring-class voices from the mid-nineteenth century, which, in spite of renewed academic interest in such material, remain underappreciated. The study of this material and its digital publication will significantly enrich literary scholarship and historical perspectives of this economic crisis, and provides the opportunity to draw public attention to an episode of history that is little known beyond the scholarly sphere. 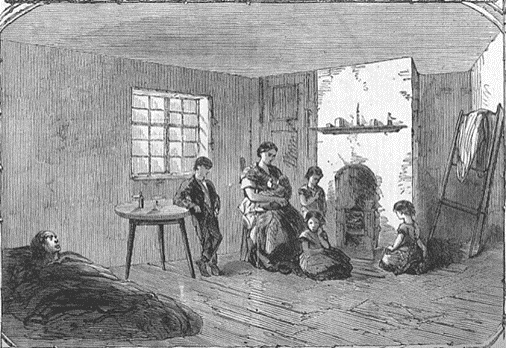 The project seeks to establish a much more detailed understanding of the nature of Lancashire Cotton Famine poetry: its extent, its intents, and its functions. Please note: The poetry and its attendant newspaper commentary on this website is Victorian and reflects the ideology and language of that time. Terms may be used, and social attitudes may be expressed, which would be unacceptable today, but in the interests of historical accuracy examples of this have not been amended or censored.